There’s one thing the 24 Hours of LeMons is adamant about: documenting your cheating. Any parts added to the car either need documentation or they’ll be assigned a value in inspections. 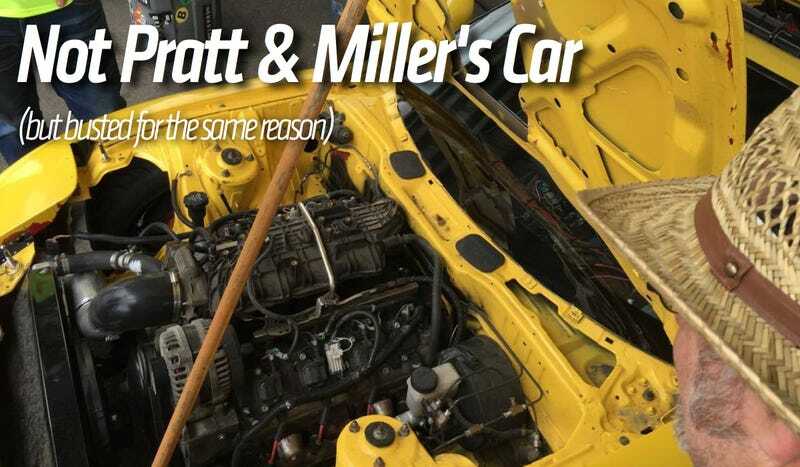 If you swap “found” parts into an FD Mazda RX-7, you’re going to invoke the “Pratt & Miller Rule,” as this team did. Why is it the Pratt & Miller Rule? GM racing powerhouse Pratt & Miller is insanely good at what they do, with numerous 24 Hours of Le Mans wins to their name. Several employees once showed up to the 24 Hours of LeMons with a Camaro full of “parts lying around the shop,” and LeMons wasn’t having it. If you’d like to follow along with the race at Thunderhill this weekend, RaceCast.me has twelve different cameras, both on cars as well as on the penalty box (where teams will be busted for other lemony offenses). Enjoy!